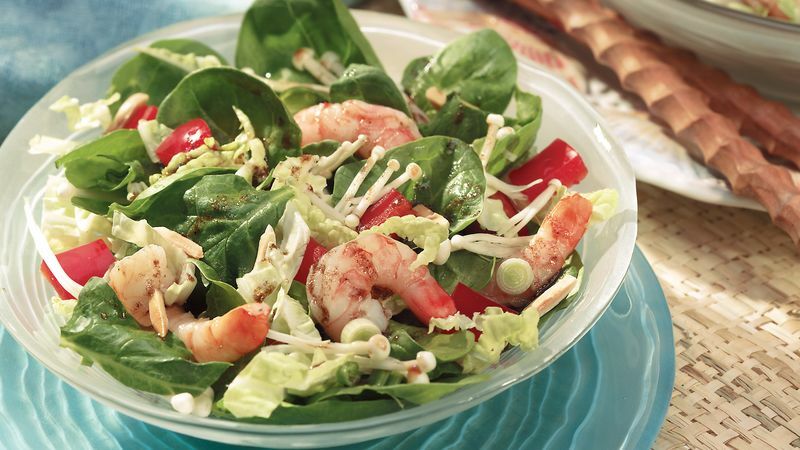 Mix spinach, cabbage, mushrooms, bell pepper, onions, shrimp and almonds in large bowl. Shake remaining ingredients in tightly covered container. Pour over spinach mixture; toss. Serve immediately. Enoki mushrooms taste almost fruity, unlike the woodsy flavor of most other mushrooms. They are available year-round at Asian markets and some supermarkets.